In my work I used a bird’s nest as the basis for reflection on concepts and ways of representing the world we live in. 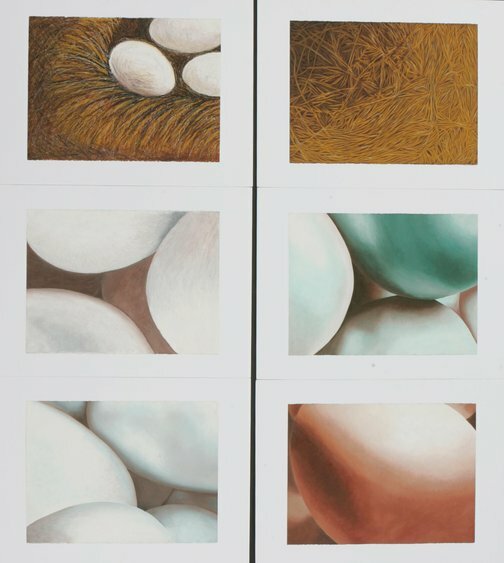 Using a range of media and techniques to communicate the sensuality, strength, innocence, purity, tranquillity and organic beauty of the eggs in a nest, I attempted to create a sense of flowing balance and unity in each of the pieces. I used sfumato, chiaroscuro and careful tonal choices, not merely to imitate nature but to reinterpret and speculate upon one aspect of it by viewing it in new light.